Whether you’re a seasoned small business owner who feels as though they are drowning in their every day, or an entrepreneur who is just getting started, Sorted. is a simple way to get your life in order and make your business work for you. With easy worksheets, great advice and straight forward exercises that take the confusion out of running your own business, this is the only book you need in order to get your business and your life sorted! 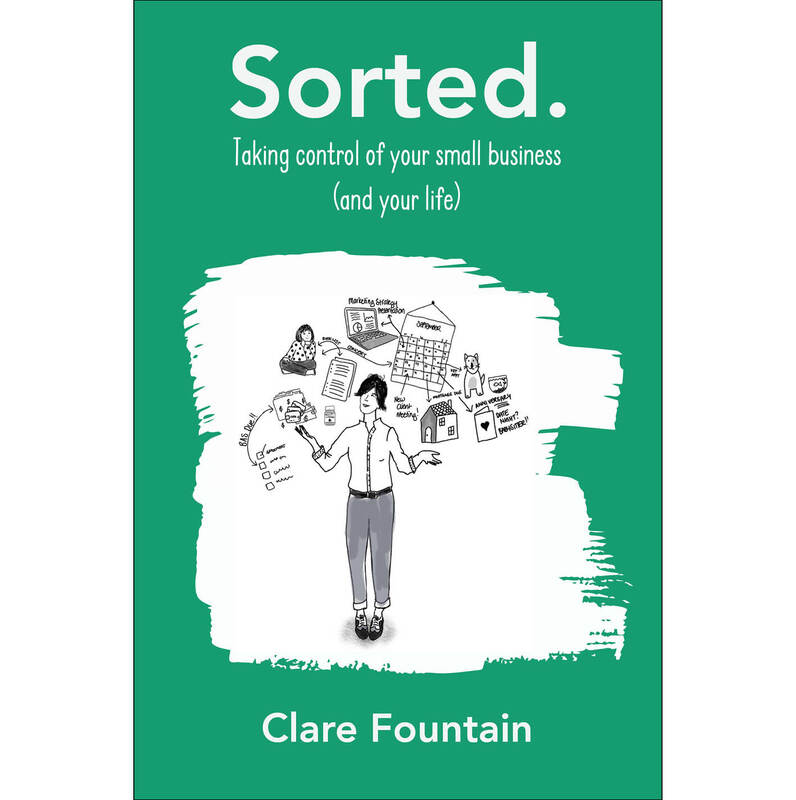 With over 20 years of experience working with small business, not-for-profits and government organisations, Clare Fountain is sharing her knowledge, tips and tricks to help get you sorted. Featuring fantastic illustrations by Tania Ryan and plenty of worksheets to help you out, Sorted is a 6″ x 9″ 126-page paperback book. Full colour throughout and printed on a soft, recycled paper with a matt laminate cover.